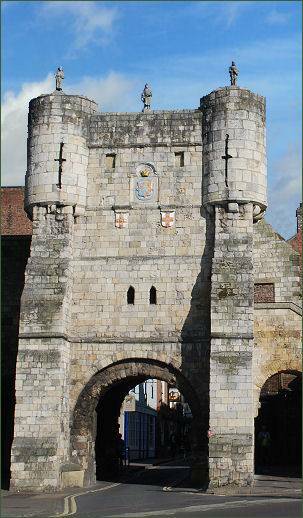 Bootham Bar stands near the west front of magnificent York Minster and is the most northerly entrance to the city. 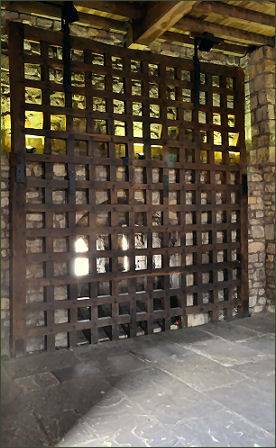 A gateway has stood on the site of Bootham Bar for nearly 2,000 years, the bar occupies the site of the porta principalis dextra, a wooden structure built by the Romans to give access to the Principia, the Headquarters of Roman Eboracum. It was referred to in the twelfth century as "Barram de Bootham" meaning bar at the booths. Some of the stonework of the three storey structure dates from as early as the eleventh century, such as the main archway, although the majority of the fabric of the building dates from the fourteenth century when it was heightened to add a portcullis. Although the portcullis is no longer operating it is still housed within the tower. 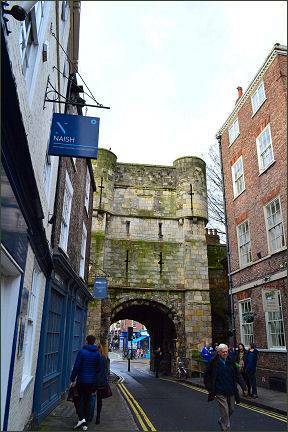 Bootham Bar was the last of the gates of York to lose its barbican, which was demolished in 1835. 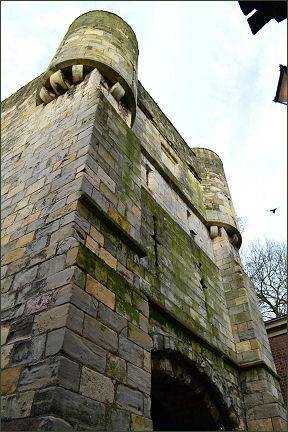 In common with Micklegate Bar, Bootham Bar was used to display the decapitated heads of traitors, including that of Thomas Mowbray, Earl of Norfolk and Earl Marshal, who led a failed rebellion against Henry IV in 1405. The heads of three rebels who opposed the restoration of Charles II after the Commonwealth period were placed there in 1663. During the reign of the first Tudor king, Henry VII, Bootham Bar survived an attack by Lord Scrope on behalf of the Yorkist pretender, Lambert Simnell. In 1501 a great door knocker was ordered to be added to the bar, as Scots who wished to enter the city were required to knock first and seek permission from the Lord Mayor. The bar was badly damaged during the Civil War by the Earl of Manchester's troops during the Siege of York (1644). The bar was restored seven years later and the pedestrian archways were added in the eighteenth century. The bar is topped by three statues which were added in 1894 to replace the weathered medieval originals. From left to right there is a stone mason holding a model of the bar, fourteenth Century Mayor of York Nicholas Langton and a Knight carrying a sword and shield.